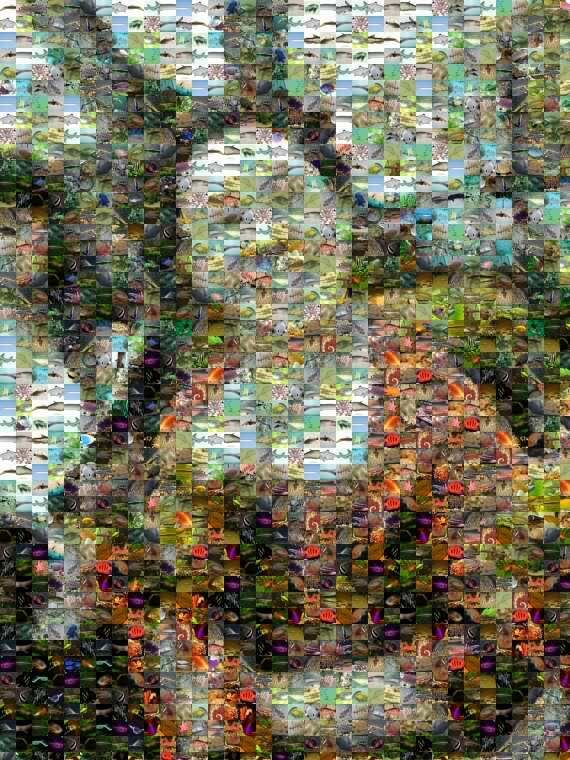 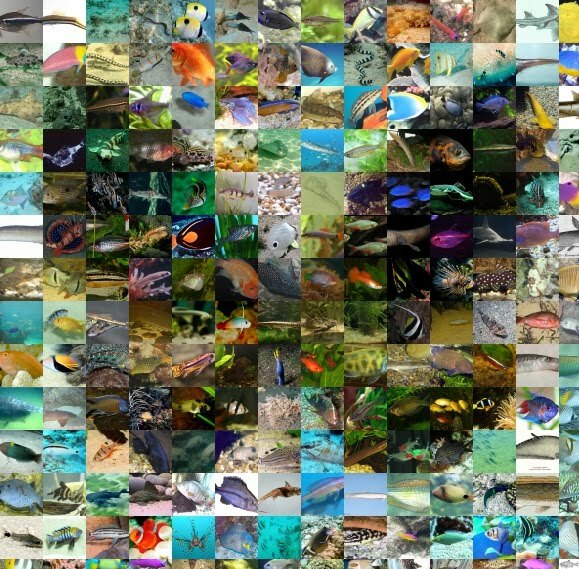 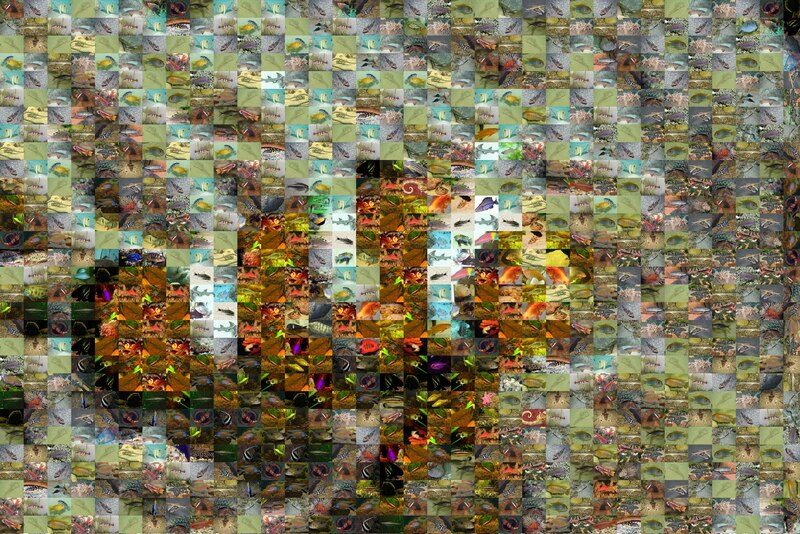 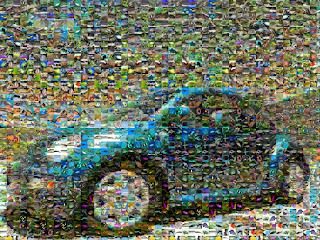 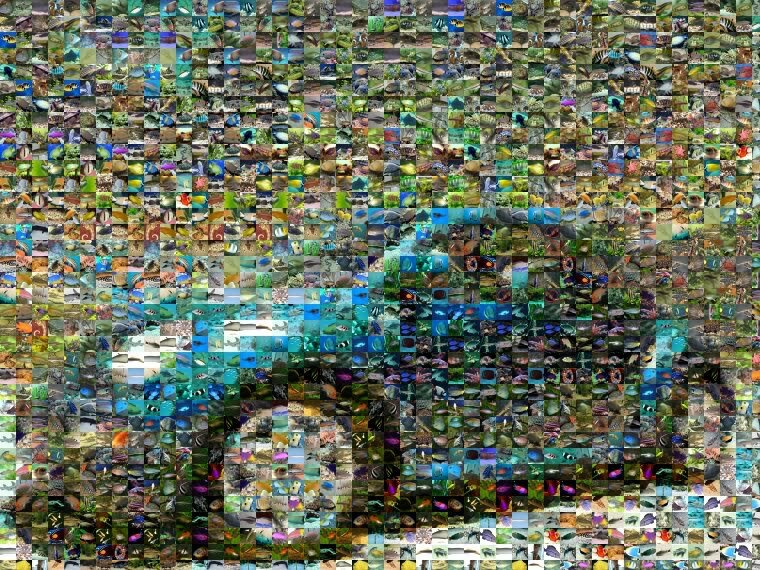 I downloaded about 500 fish pictures off of Wikipedia, then used them to make random mosaics. 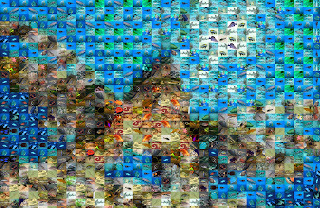 Some of them are pretty neat, many would be really quite impressive if you actually printed up five hundred or so photos and covered a wall with them. 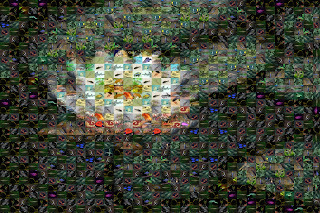 It is tough to get the balance right, too small of fish and it just looks like a photo, too big of fish and it just looks like fish.